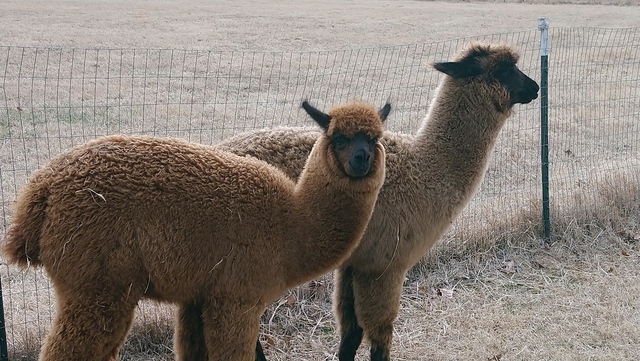 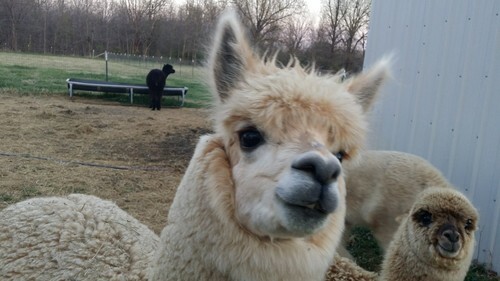 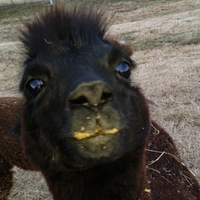 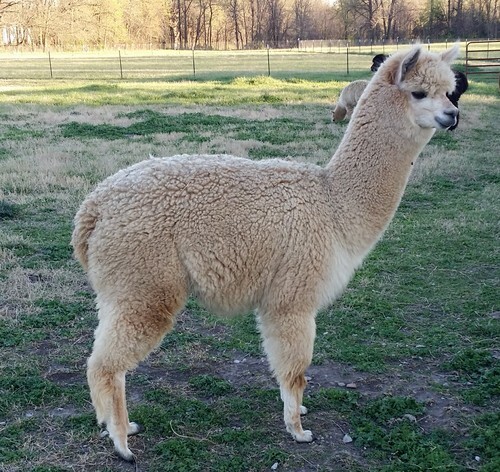 OUR OUTSTANDING HERDSIRE AM ALANO IS CURRENTLY ON A ONE YEAR LEASE TO K & D'S ALPACA RANCH IN MOBERLY, MO, YOUR FEMALES WOULD NEED TO BE BRED AT THEIR LOCATION UNTIL JUNE 1ST, 2016. 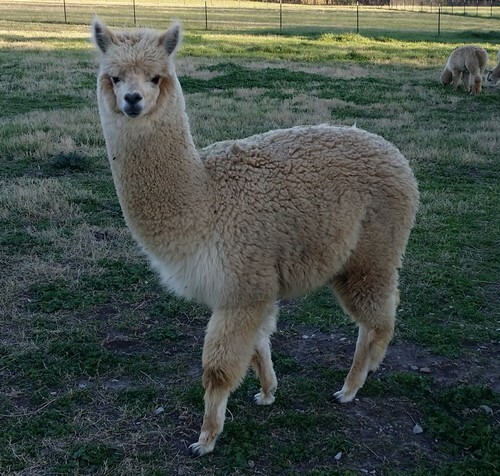 Bo Peep is a lovely bright white girl. 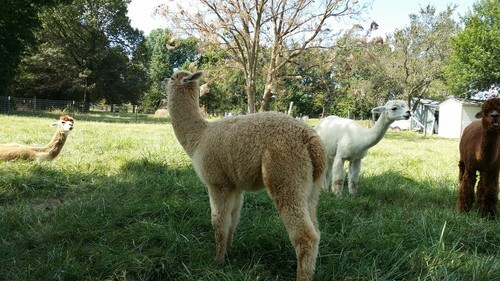 Although Peep is white, she can definitely throw color, as demonstrated by all her crias thus far. 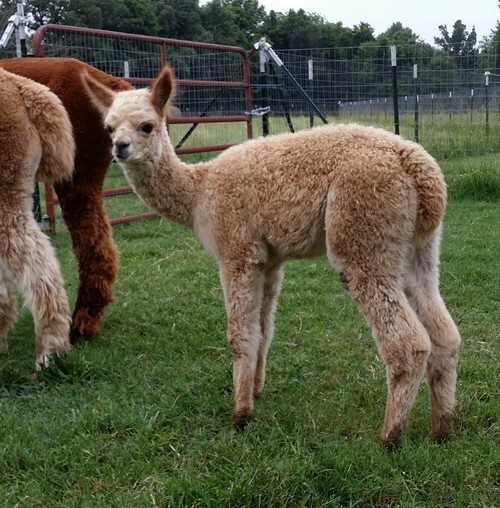 She has wonderful gray genetics from her mother's side and lovely fiber characteristics from her full Peruvian sire.